As teachers, we spend a lot of time writing. Lesson plans, notes on the whiteboard, nurse passes, IEP's, meeting notes... not to mention all of the things we write at home: grocery lists, birthday cards, bills... There are two things you should know about me before I go any further: 1) I am a stationery lover and always have been and 2) I love lists. And planners. And hand-written notes. I like to write things down. With that said, I wanted to share my favorite pens with you today. 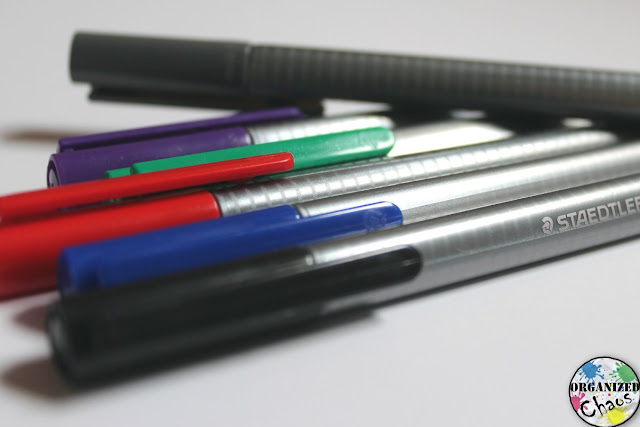 These are the Pilot FriXion Ball Slim Erasable Pen in 0.38mm, and they are nothing short of amazing. Unlike those old erasable pens we used when we were kids, these things actually erase. They come in tons of awesome colors, and they write like a dream. I got the set of 20 colors linked above, but you'll see several smaller sets with fewer colors on Amazon as well if you want to try them out. There are several other kinds of erasable pens from the same company, including gel pens and thicker ballpoint pens, but I like these the best because the writing is nice and fine. I am just so happy to have found these because now I can write anything in my planner in pen and not have to worry about if I need to change something later! 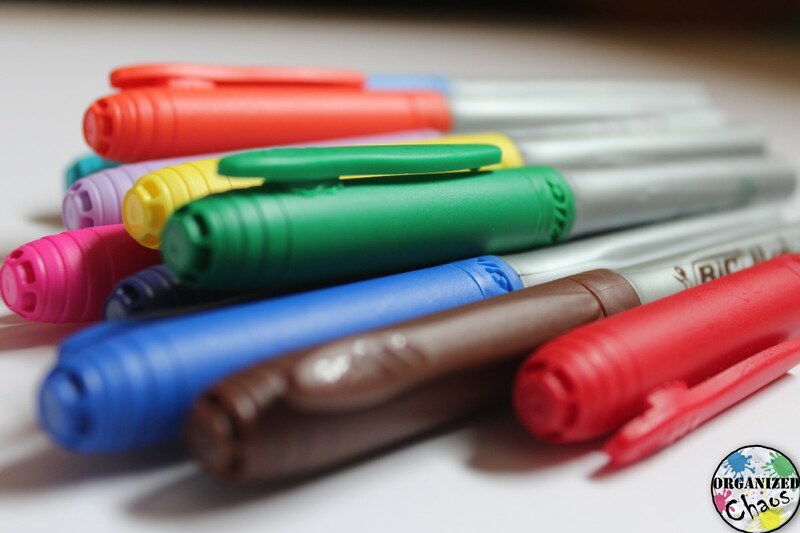 These are the Staedtler Triplus Fineliner Pens and they are perfect for everyday use, and especially for writing on stickers. 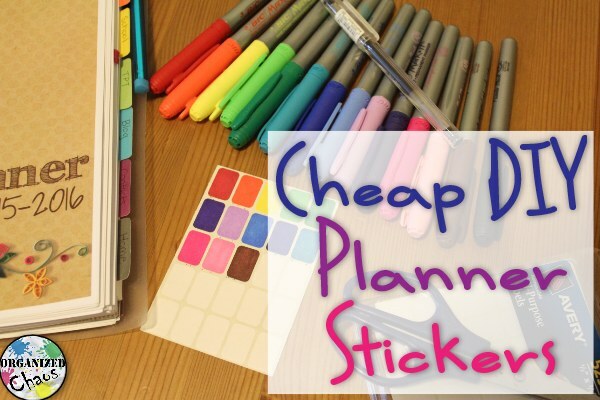 I use them to draw on my DIY planner stickers once I color them, write on top of stickers, and for any other project that needs a regular pen. 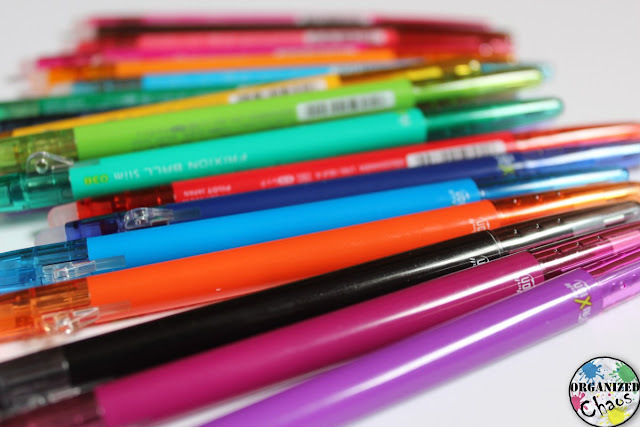 For smooth writing and great color, it's hard to beat these, and if you are using decent paper these won't show through to the other side of the page either. Everyone should have at least one Sharpie Ultra Fine Point Marker. I use mine all the time for writing on stickers, washi tape, and other slick surfaces. These are great for writing on CD's if you have a lot of information to write down. And did you know how useful a wet erase marker can be? 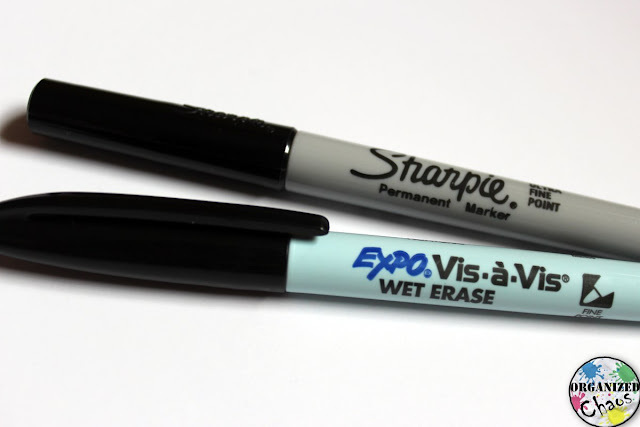 I have the Expo Vis-a-Vis Wet Erase Markers. When teachers stopped using overhead projectors and transparencies, it seems like everyone thought there was no more use for the humble little dry erase marker. But they are really awesome! 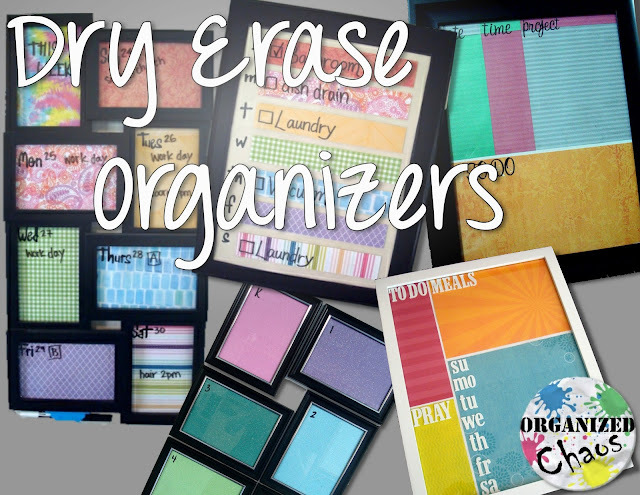 I use them to write things down and check things off on lists that I want to use over and over again, like my monthly cleaning checklist in my planner, without having anything rub off onto another paper or something else. They are also perfect for labeling things with student names in the classroom. As long as you have a slick surface- duct tape, plastic, etc- you can write their name on with wet erase, and wipe it off with a wet wipe when they are done using it so you can give it to another student. So awesome! These things look so cool! They're called the Expo Dry Erase 2-in-1 Markers. I always like to have plenty of colors for my white board, but I obviously use black the most. How much easier would it be to just flip the marker over and start writing in black instead of capping the colored one, putting it down, and picking up a black one? I love it. These come in bigger packs too with tons of colors, but I like that these have black on every marker. So handy. Well, that's it for my favorite pens. Which pens do you love for school and home? 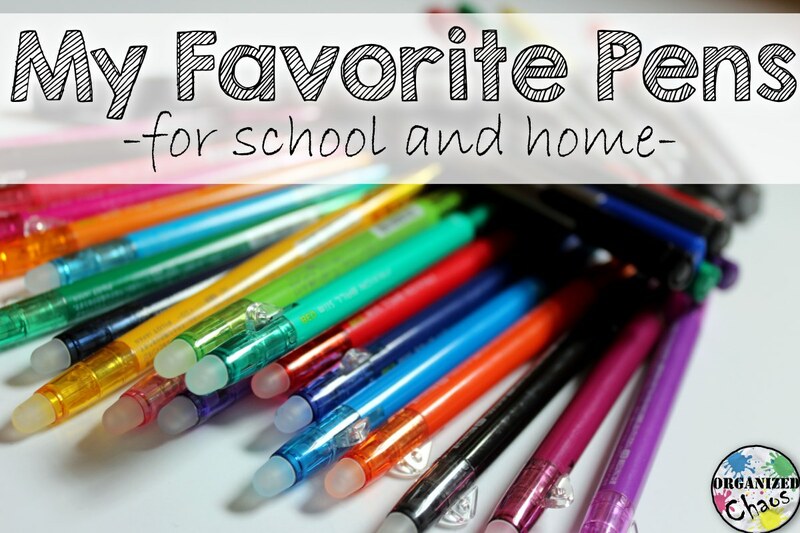 Share your favorites in the comments below!